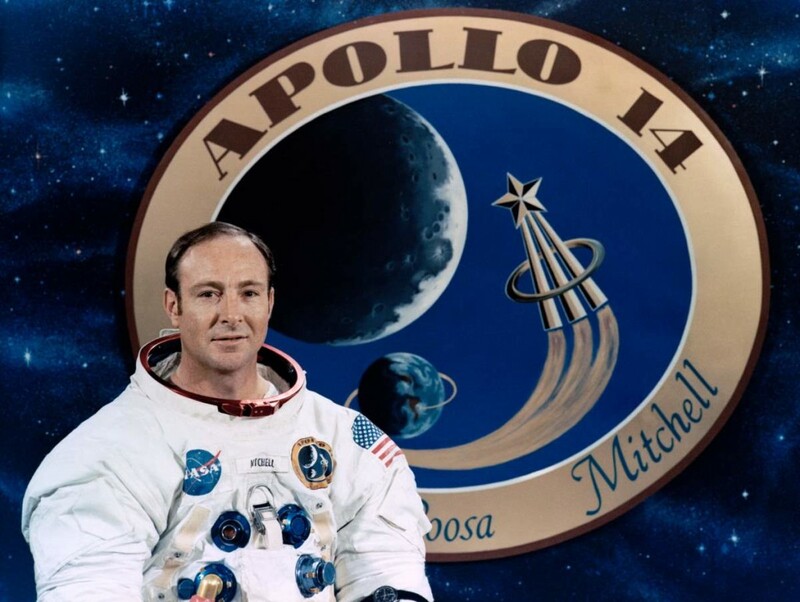 Edgar Mitchell, the American naval officer and aviator, test pilot, aeronautical engineer and NASA astronaut and the sixth man to walk on the Moon, died on February 4, 2016, aged 85. NASA (National Aeronautics and Space Administration) announced that: “We’re saddened by the loss of astronaut Edgar Mitchell. 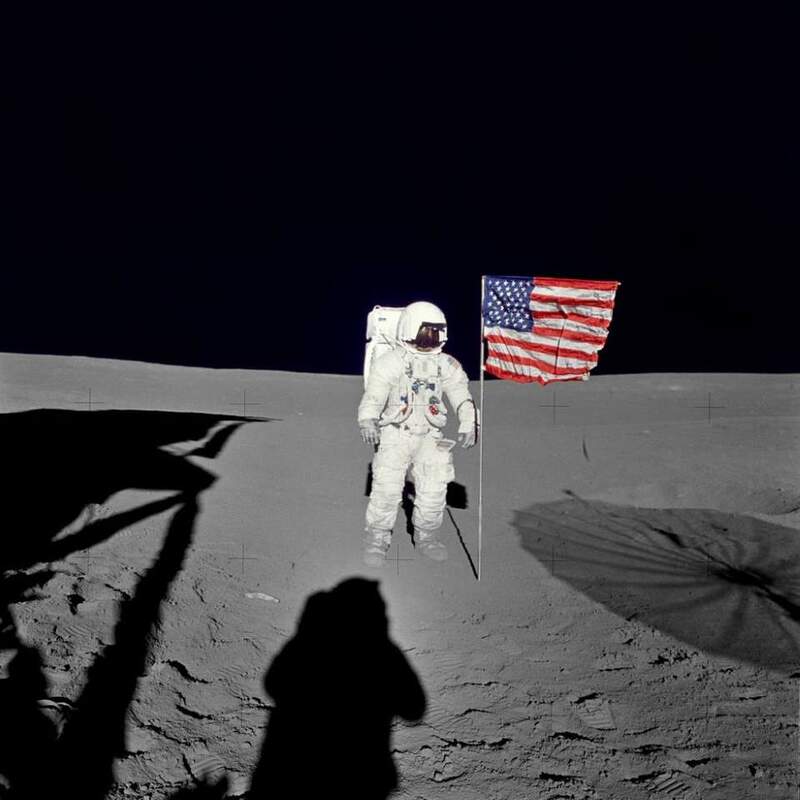 He served as a lunar module pilot on Apollo 14, and was one of twelve American astronauts to walk on the moon. We salute his life and work, pushing the boundaries of exploration”. Mitchell was selected to be an astronaut in 1966 and was seconded from the Navy to NASA. He was designated as backup Lunar Module Pilot for Apollo 10, and served as Lunar Module Pilot on Apollo 14, landing Antares (the Lunar Module) in the hilly upland Fra Mauro Highlands region. For two days, February 5 and 6, 1971, Mitchell and Alan Shepard deployed and activated scientific equipment and experiments on the lunar surface. They collected almost 100 pounds of lunar samples for return to Earth. Other Apollo 14 achievements include: first use of Mobile Equipment Transporter (MET); largest payload placed in lunar orbit; longest distance traversed on foot on the lunar surface; largest payload returned from the lunar surface; longest lunar surface stay time (33 hours); longest lunar surface EVA (9 hours and 23 minutes); first use of shortened lunar orbit rendezvous techniques; first use of color TV with new vidicon tube; and first extensive orbital science period conducted during CSM solo operations. 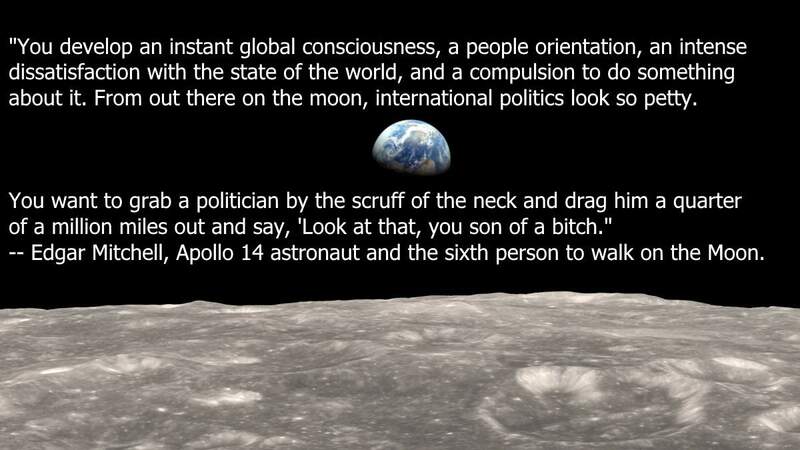 He became the sixth person to walk on the Moon. As the Lunar Module Pilot of Apollo 14, he spent nine hours working on the lunar surface in the Fra Mauro Highlands region.